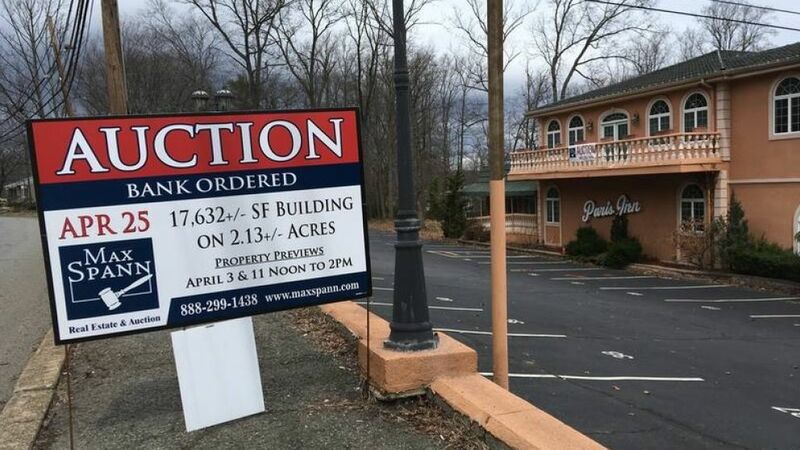 WAYNE, NJ — A bank-ordered auction for the former Paris Inn will be held April 25, more than a year after the once-beloved restaurant and banquet hall closed after more than 40 years in business. Max Spann, a real estate and auction company, is holding the auction at the Saddle Brook Marriott hotel. Property previews will be noon to 2 p.m. Tuesday and Wednesday, April 11. The two-acre "famous landmark" property at 1292 Alps Road features the 17,000-square-foot restaurant, which can accomodate 400 customers, furniture, and kitchen equipment, according to the auction listing. The property, including a parcel with a separate subdivision and a liquor license, was originally listed for $3.3 million. The price was reduced to $2.9 million in July. The auction does not include the liquor license. "The mystique and the local fame of the business certainly adds to the uniqueness of the auction," said Max Spann, the auction company's owner. "In talking with a lot of local residents, they were sad to see the business close. They believe that a business like that is needed in that part of town." The Paris Inn abruptly closed on March 12, 2017. Owner Antonio Petritsis previously told News 12 that it was a "personal decision" to close the Alps Road establishment and that he has appreciated all the customers the business has served. The two-story establishment hosted weddings, baby showers, corporate events, and was a popular spot for Sunday brunch. The property was under contract with a buyer and was slated to be sold in December, according to NorthJersey.com, but it is unknown if it was sold or not. "For the right operator, with a little tender loving care, they could turn it back to its former glory," Spann said.